I absolutely love this book. 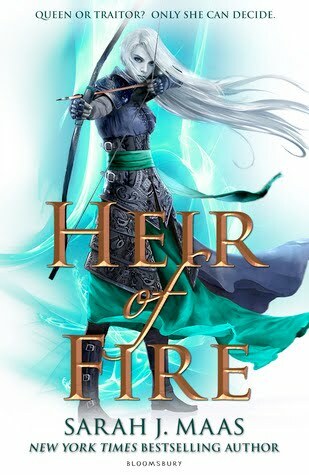 It is my favourite out of all the Throne of Glass books that I have read so far, keeping in mind that I have not read past Queen of Shadows. Just a quick note, I am a book behind on the #FireheartSAreadalong because I have just been so busy lately. But let's get into this. I love how this writing carries a lot more emotion than the previous two books. Maas has clearly worked on her wiring since the beginning. I love how well paced the book was. I also really enjoyed how I could put the book down and be able to come back to it a bit later and not having to miss a beat. This is a long book but so much happened. There were so many moments that had my heart aching and swooning. I was heartbroken but also so happy at the same time. This book is filled with so many plot-changing events that it is difficult not to hang on to every word. I definitely liked how we got more from other characters in this book. Maas incorporates the multiple points of views well. She allows us to view the story from three different parts of the world which allow a rich plot to form. Celaena goes through so much character development at the end of this novel. We see her go from the spoiled and haunted character in the first two books to something more in this one. She really starts to form in the person you kind of expect in the first novel. The multiple points of views allowed us to see the emergence of new characters but it also allowed some background characters to come more to the front and centre of the story. Overall, this book had me on the verge of tears. Whether they are from happiness or from sadness, I wouldn't be able to tell you. The writing was a lot better in this book. It carried a lot of emotion and it was also easy to jump in and out of. The plot was rich and had me hanging onto every word. Celaena and a lot of other characters go through a ton of development. We also new characters coming into the story well developed. This book is still my favourite of the series and I await the day that another book changes my mind.